“Suuuuuuue, I have something that you HAVE to do,” I screamed Nooooo in my head. When she told me what it was, I said “Hell no” out loud. I’m no beauty, but neither am I interested in beauty, having gloriously lost that battle years ago. But this is Michelle October, the most persistent of millennials, and with one flick of a slang word, she’d summoned the millennial army, all bulging eyes and gushing abbreviations, and I was overpowered. The thing I had to do? Microblading. Obviously, this involved a blade. On your face. Worse. Very very close to your eyeball. Because micoblading is essentially an eyebrow tattoo. At the time I wasn’t even sure I cared that it was semi-permanent – it was a TATTOO… On my FACE. But I agreed. Because A) Millennial army. B) Everyone was doing it. C) My eyebrows are eerie. Old-man white. And patchy. I literally had nothing to lose. Having prepared Megan, the videographer, for tears with a chance of handholding, we took in the room. A lone bed – the kind you’d lie on at the doctor’s – with a dentist-type light above it, and… inks and blades, and my tattooist, the artist with the most… Eyebrows. As she gently, warmly outlined the process, I stared fixedly at her outlines – and almost bolted. Not because they were scary. They were beautiful. But they were just so freakin’ THERE. And so I reiterated for the seventieth time: “Be subtle. Be kind.” Before she brought the blade down. And I shut up. Honestly, I recall little from the next two hours. In the beginning, it was like any regular beauty treatment where one human is touching another: that zen of giving yourself over, half-dazed, and just falling into it. The artist measured and photographed and coloured in, and remeasured and remeasured and remeasured. It’s a meticulous business. By the time she actually started with the blade I felt like I was floating under palms. For me, it felt… nice, like someone repetitively pressing down on your skin with a fingernail. But apparently, pain during the treatment is relative. According to the microblading pros, scared clients and those who have their period usually feel stronger pain (there is an option to use mild cream or liquid anesthetics that can entirely eliminate the eina), while others compare it to basic eyebrow plucking. And what are they doing to your face exactly? Your brows are being reshaped to achieve facial symmetry, the benchmark for beauty. And this symmetry isn’t left up to human guestimation – an actual app is used to get it spot-on. Only once your measurements have been taken and you’ve given the proposed outline the nod does any actual needlework begin. Small blade strokes are made, then filled with pigment and saturated. Brows can be saturated multiple times during the procedure to improve retention – and this is done more so with clients with oily or sensitive skin. Strokes are also always drawn in the direction of natural hairs’ growth to achieve a hyper-realistic look. When I finally looked in a mirror, it was with awe. I was a bit daunted by how prominent they were, but I was pleased too – I did look more symmetrical. I did look prettier! Plus: Over the next two weeks, I figured, it was going to fade into the perfect shape and colour. And hallelujah to never having to pencil in an eyebrow again. I did. A bit. My dad was more dramatic, and spent the weekend family braai talking solely to my brows, asking them where he’d gone so wrong. Because the colour is pretty damn dark for the first five to seven days – despite the fact that my tattoo artist had selected the lightest pigment. But, bless dad, seven days later, the colour loses 40 to 50 percent of its intensity. The website’s warning is clear: If you think the colour is too dark, don’t try to remove it yourself. Wait seven days for the colour to fade on its own after your skin has healed. I really shouldn’t have been worried about those stark brows. 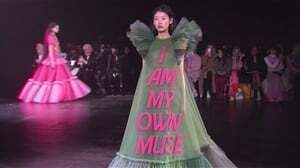 Actually, I opposite. The weird thing with me was that not only did they fade to the perfect hue (a week or so of me walking into the supermarket flicking my hair out of my face with shamefully OTT confidence), they passed that sweet spot and continued to fade until, well, they were gone. What the hell happened? I’d lost 100 percent colour, and – on inspection – every stroke (you’re only supposed to lose between 10 and 15 percent of drawn strokes after the first treatment). I was also a few original brows less, having shed them, along with a couple of tears, to the scabbing process. It could’ve been my crazy-oily skin. It could’ve been incorrect aftercare (though I was pretty meticulous). It could’ve been that I missed one of the dos and don’ts (this incredibly long list exists – and you need to read it). Or it could’ve been a combination of all of it. With a heavy dose of bad luck. I probably should have had it corrected, but I didn’t. 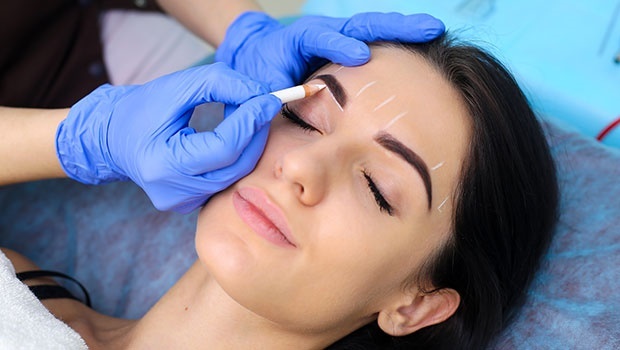 Correction seems to be part of the process for most microblading salons – and must be done between four and eight weeks (unless otherwise discussed). Note: If not done during this period, the touch-up/correction will be charged for separately. R3,300. This includes your six- to eight-week touch-up and aftercare kit. Hate what’s just happened to your face? There is a way to remove it and it sounds pretty painless. A simple extraction formula is used to draw out the unwanted tattoo ink. Boom. And what happens if it doesn’t “take”? According to the website of the company I went through, colour duration primarily depends on how oily the skin is. The oilier the skin (me! ), the shorter the colour lasts. Sweating and sun exposure will also mess with your new brows. On average, expected time until a new colour refreshment is between 10 and 12 months. With oily skin, it’s up to six months. 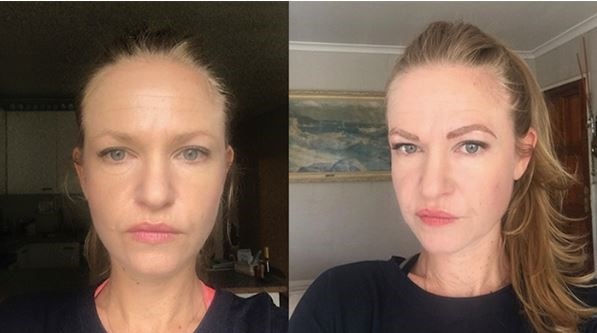 With my skin, I’m thinking one month… Which is when the healing is fully completed (28 days) and when your first corrective session should happen. With problematic and oily skins, several corrections might be required, and this is definitely something to consider (along with that long ‘good brow behaviour’ checklist) before giving microblading a go. Now you know.